Using full-potential linear-augmented plane waves plus local orbitals (FP-LAPW) method, within the generalized gradient approximation (GGA) and GGA + U (Hubbard Coulomb onsite correction) as well as the modified Becke-Johnson approach (mBJ-GGA and mBJ-GGA + U), we have carried out a systematic investigation of the structural, electronic, and magnetic properties of CrS, CrSe, and CrTe compounds in two competing phases: the zinc-blende (ZB) and wurtzite (WZ) structures. We obtained half-metallic (HM) gaps of 1.35 (2.32), 1.65 (2.49), and 1.52 (1.80) for the CrS, CrSe, and CrTe compounds, respectively, in the ZB phase within the GGA + U (mBJ-GGA + U) approach. The HM gaps are 1.78, 2.11, and 1.53 for CrS, CrSe, and CrTe compounds, respectively, in the WZ phase using the GGA + U. Notably, the CrSe and CrTe using the mBJ-GGA + U approach are a half-semiconductor (HSC) in the WZ phase. The HSC gaps are 0.94 and 0.25 eV for CrSe and CrTe compounds, respectively, while CrS has a HM gap of 2.30 eV. We observed a HSC-to-HM transition for the CrSe and CrTe crystal structures on application of strain. 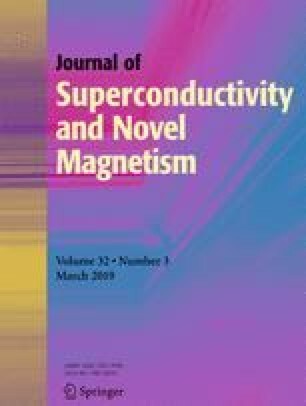 The CrS, CrSe, and CrTe compounds have a total magnetic moment of 4.0 µB per formula unit with the magnetization predominantly from the Cr ion. The main features observed from the density of states and strain evolution should motivate further experimental exploration on the possible application of the CrS, CrSe, and CrTe compounds for spintronic applications. B. B. acknowledges the Algerian Academy of Sciences and Technology (AAST) and the Abdus-Salam International Center for Theoretical Physics (ICTP, Trieste, Italy). K. O. O. thanks Moritz Braun and the University of South Africa for the financial support.